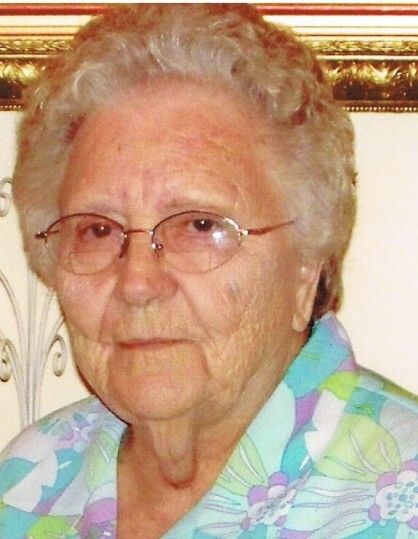 Floye Daughtry McCullough, 95, widow of C.A. McCullough formerly of Belton, died Sunday, July 1, 2018 at Rainey Hospice House. Born in Decatur County, GA, she was the daughter of the late Zack and Dora Sanders Daughtry. She was a member of Second Baptist Church where she worked in the nursery for many years. Surviving are: sons, Charles and Herman McCullough, both of Belton; daughter, Sandra M. Kelly of Belton; sisters, Ruth Cook of Thomasville, GA, Jewel Strickland of Augusta, GA and Lula Mae Long of Cairo, GA; 7 grandchildren, 19 great grandchildren and 9 great great grandchildren. She was preceded in death by: son, Ray McCullough; brothers, Arnold, Elmer, Ivey, Bill, Alvin, Lamar, Paul and Norwood Daughtry; sister, Amy Harrison; granddaughter, Kathy Gardiner. Graveside service will be held 10am Wednesday at Garden of Memories Cemetery with Rev. Dr. Mitch Brooks officiating. The family will receive friends following the service Wednesday at the cemetery. Flowers are accepted or memorials may be made to Second Baptist Church Building Fund or Rainey Hospice House. The family will be at the home of her daughter, Sandra Kelly at 814 River St., Lot 1, Belton, SC 29627.